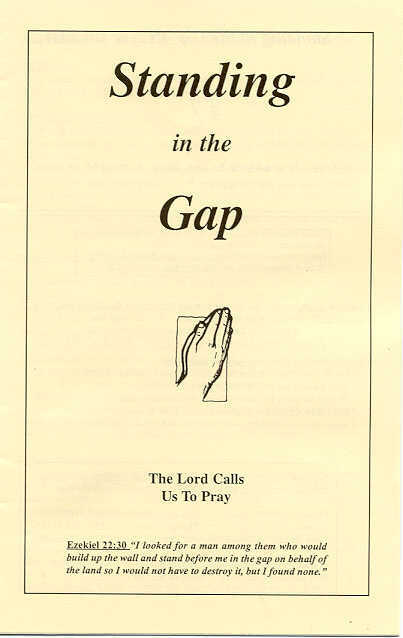 This prayer booklet was developed especially to be used in front of an abortion clinic and is based on the idea found in Ezekiel 22:30 "I looked for a man among them who would build up the wall and stand in the gap on behalf of the land so I would not have to destroy it, but I found none." It can also be used in a Bible study. In fact, it is probably best used first in a Bible study setting so that those who would like to later go as a group to an abortion clinic are familiar with it's format.